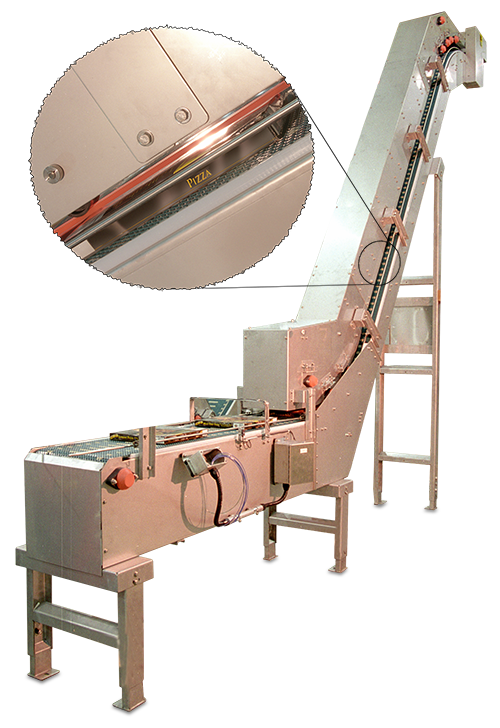 The Twin “A” Incline and Twin “A” Decline are perfect for elevating or declining your unwrapped, over-wrapped, or difficult to handle products in a small footprint. We gently capture the bottom and top two sides of your product by using Mat Top on the bottom and a urethane Twin “A” belt on the top and convey your product up an incline or down a decline to your specified discharge elevation. Available in both painted mild steel or stainless steel construction. Product flow is visible from both sides of the incline. Automatic height adjustment to accommodate your multiple product heights is available upon request.